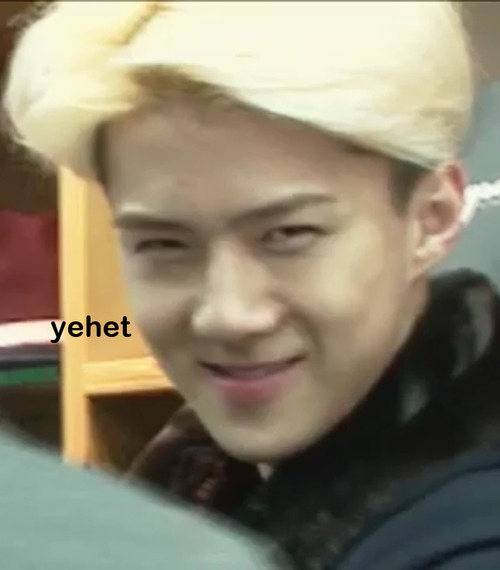 Okay, I'm done being ghei for GG (for now). Time to switch to pedonoona mode! It's not that I really enjoy being a pedonoona *nose grows an inch*...but it's a sad fact that I am older than most of the boys I fangirl over nowadays. Way older. I try my best not to fall for the jailbaits..but *sighs* easier said than done. 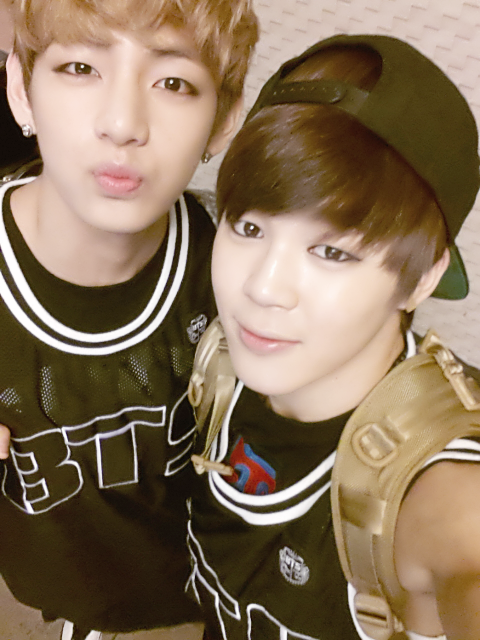 Jimin and V are '95-liners, which means they're LEGAL! K, I'm done being sad over my ancient age. Now let's talk about these two cutie patooties♥ When BTS debuted last year, I was instantly attracted to their awesome songs and cool dance moves. Then came that time in every fangirl's life - time to pick a bias. Wasn't hard for me, I knew I wanted Jimin. Kid's just so cool! I love the way he moves and the way he sings and the way he smiles and then there's those abs and guns. Then I looked up the boys' profile. Uh. Dammit, kid's so young! He's the third youngest in the group. I thought, "OH well, maybe my second bias would be older." 어떻게? Then fast-forward to this year. My second bias changed (미안해 Jungkook ah~ but you're still ahead of your hyungs xD). Oh no~ I didn't fall for the oldest or one of them. I fell for V. That's another one out of the maknae lines!! What is up with me and maknaes? XD (There's a story here for another day). This kid's dorkiness never fails to make me laugh. Not to mention that face. Damn, that face. Daehyun and Baekhyun should never be allowed by themselves in the same room ever again. both in terms of looks and craziness. I love, love , love V's voice and I'm glad I finally get to hear more of it here. Both my favorite BTS voices singing - just them - in one song, is heaven. Now I have something to tune into whenever I fell like listening to just their voices. Don't get me wrong, I love all the boys' voices but this is perfect for the times when you wanna listen to just your biases' voices, ya know wha I meen? (I know you fangirls out there feel me).